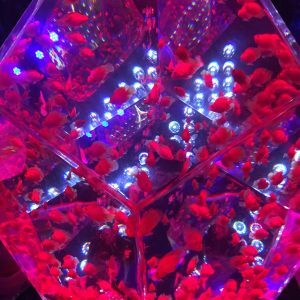 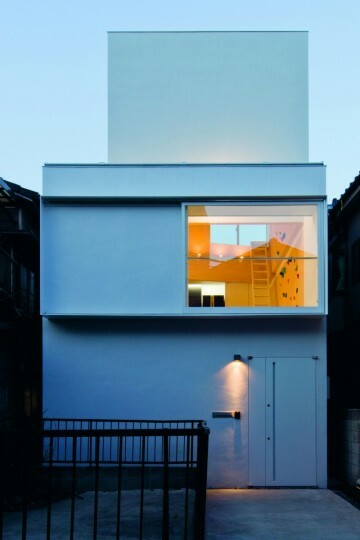 Chosen for their expressive outward appearances, the houses run the gamut: from peek-a-boo glass fish bowls to poker-faced, blank walled boxes, from wooden cabins to concrete fortresses, from mini-homes in the heart of the city to palatial getaways out in the country. 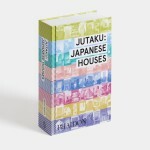 Containing examples from snowy Hokkaido down to sunny Okinawa the book is divided into eight sections organized according to Japan’s geographic regions. 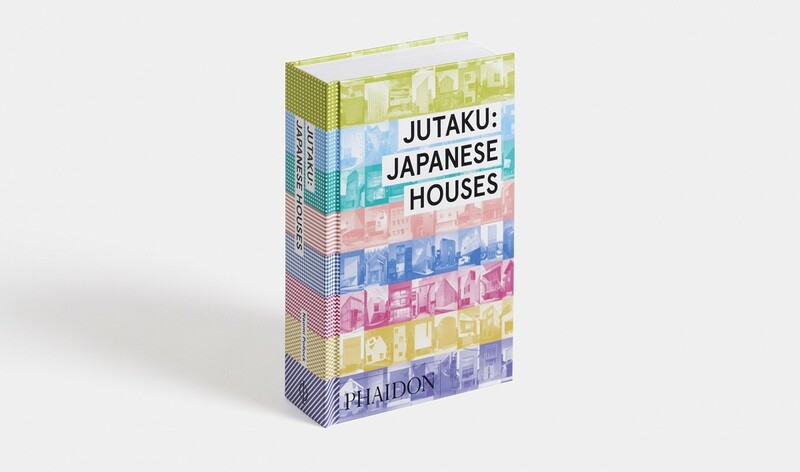 Each one is designated with its own color-coded pattern, all of which come together to form the book’s rainbow striped cover. 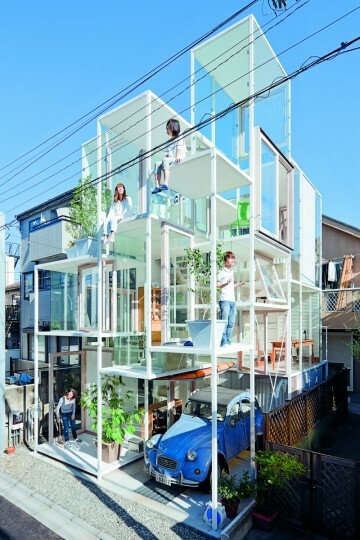 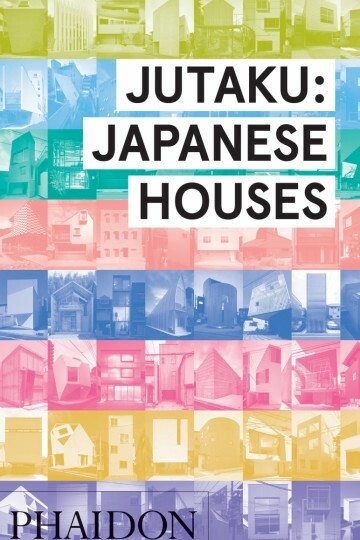 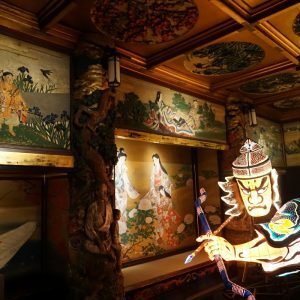 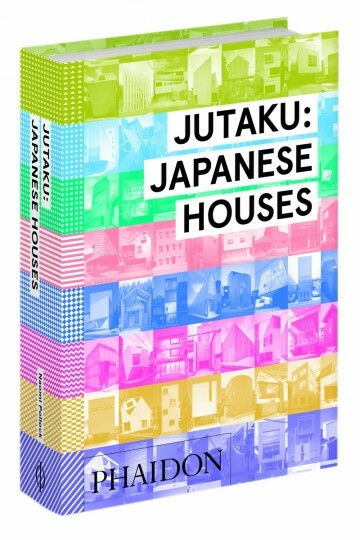 Though Japan seems likely to remain a hotbed of design creativity, dwellings here have a relatively short shelf life – just 30 years on average. 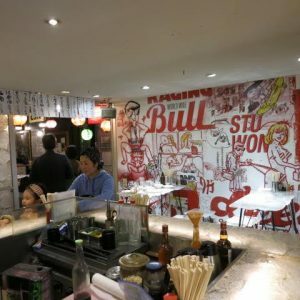 In a place with a seemingly insatiable appetite for rebuilding, very little is permanent. 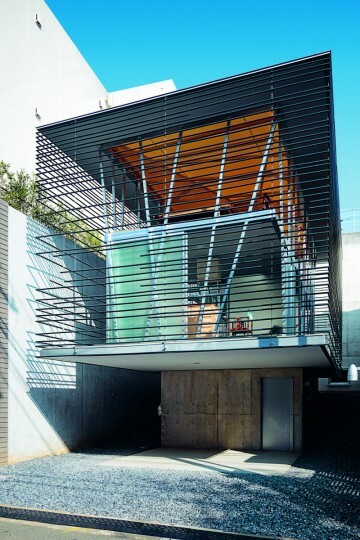 Even private homes are likely to come down, sooner or later. 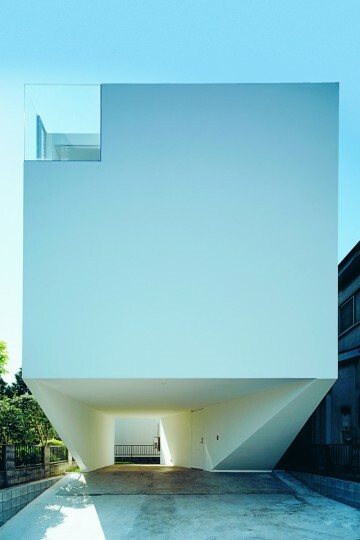 But that will just make room for even more amazing houses. 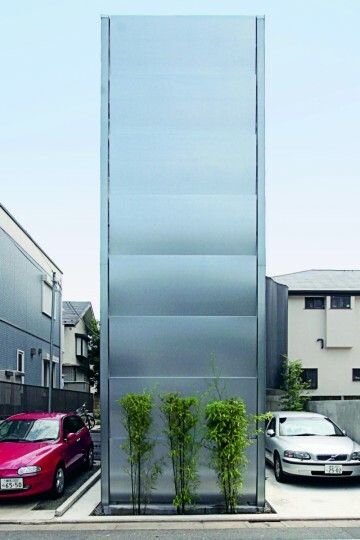 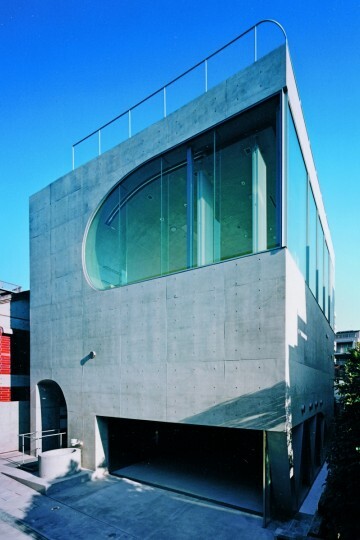 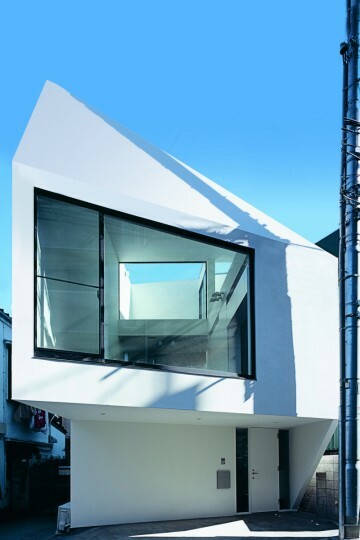 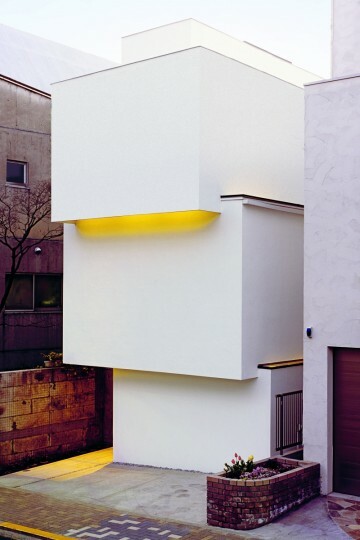 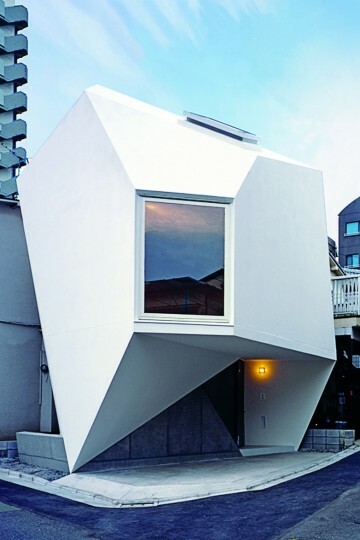 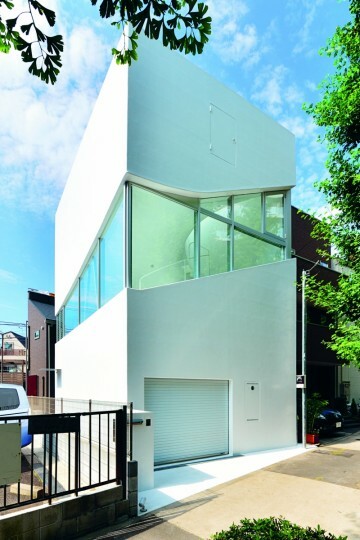 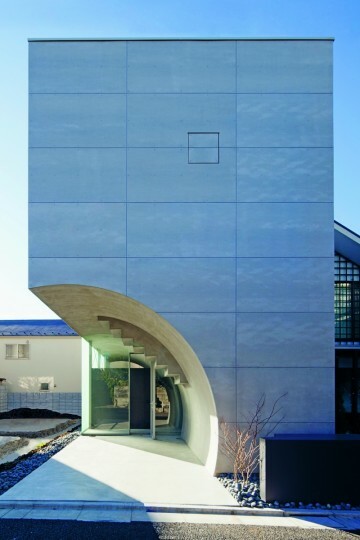 73 Dancing Living House, ALX, 2008, Yokohama, Kanagawa Prefecture. 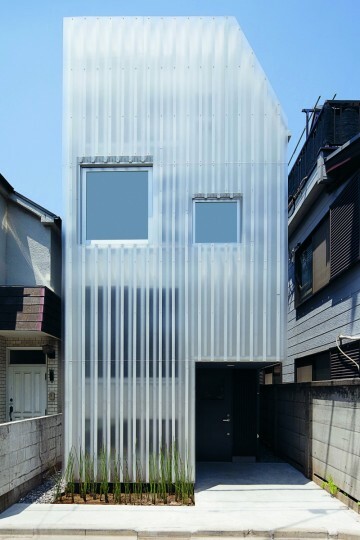 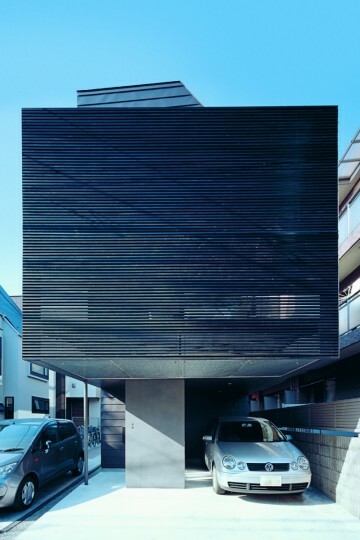 33 OBI-House, Tetsushi Tominaga, 2013, Bunkyo-ku, Tokyo.